Undetected low levels of thyroid hormone may underlie subtle changes that can increase your risk of cardiovascular disease. For a gland only two inches in size, the thyroid has a huge influence on our health. It produces a hormone that is carried in the bloodstream to all parts of the body. Thyroid hormone plays a major role in regulating metabolism—the process by which body cells convert nutrients into energy—and thereby helps regulate body temperature, heart rate, and even brain function. So when thyroid hormone levels fall, the body slows. You're probably aware of the common symptoms of low thyroid hormone—fatigue, fuzzy-headedness, weight gain, cold hands, and dry skin. But if you're like most of us, you're likely to blame your diet and exercise regimen instead of your thyroid if your cholesterol levels and weight are creeping up, especially if you don't have any of the other symptoms of low thyroid. "Symptoms are often nonspecific, and since women over 60 generally have more of these nonspecific symptoms, their doctors may not think to test for hypothyroidism," says endocrinologist Dr. Jeffrey Garber, associate professor of medicine at Harvard Medical School and author of The Harvard Medical School Guide to Overcoming Thyroid Problems. Just as the thyroid gland communicates with other organs through the hormone it produces, the pituitary gland in the brain communicates with the thyroid through a hormone it makes—thyroid-stimulating hormone, or TSH. When the pituitary senses that thyroid hormone levels are too low, it releases more TSH to coax the thyroid into action. When the thyroid is nudged by TSH, it produces thyroid hormone—a large proportion of which is thyroxine (T4) and a smaller proportion triiodothyronine (T3). The T4 is eventually converted into T3, the "active" form that is taken up by receptors in body cells. Women of all ages are more likely than men to have low thyroid hormone levels. However, many of their symptoms are attributed to other conditions or written off as a consequence of aging. 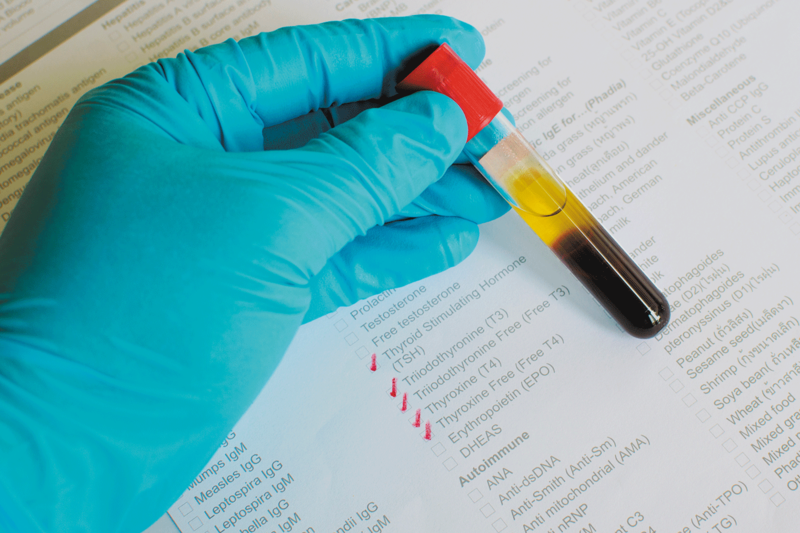 A blood test for levels of TSH is the most sensitive test for determining whether you have hypothyroidism. Most laboratories use 0.45 – 5.00 mIU/L as a normal reference range for TSH. People with TSH between 5.00 and 9.99 mIU/L often have no symptoms (known as subclinical hypothyroidism), but some do. Another test called T4 will be done if your TSH is in this range. A low level of T4 usually means you will benefit from thyroid hormone replacement. Many people with hypothyroidism or subclinical hypothyroidism aren't aware anything is wrong because they haven't been tested. The U.S. Preventive Services Task Force (USPSTF) doesn't recommend thyroid screening because it hasn't found sufficient evidence that testing thyroid hormone levels in large groups of people without symptoms is cost-effective. Dr. Garber agrees, and suggests a different approach—testing asymptomatic people who are most likely to develop thyroid disease and benefit from treatment. Treating subclinical hypothyroidism with synthetic thyroid hormone may reduce the risk of developing more serious problems like cardiovascular disease. They note that low thyroid hormone can cause a high cholesterol level and treatment with thyroid hormone may make statin therapy unnecessary. If you have definite symptoms of hypothyroidism, you should talk to your clinician about being tested. If your LDL cholesterol has been advancing or your weight has been creeping up unexplainably, you'll want to discuss getting a test. If you're 60 or older and generally healthy, it's still a good idea to check with your doctor to see whether your medical history suggests you might benefit from testing.